Uses: Used to move soil, gravel, concrete or any bulk materials. Ideal for moving material in limited access areas. 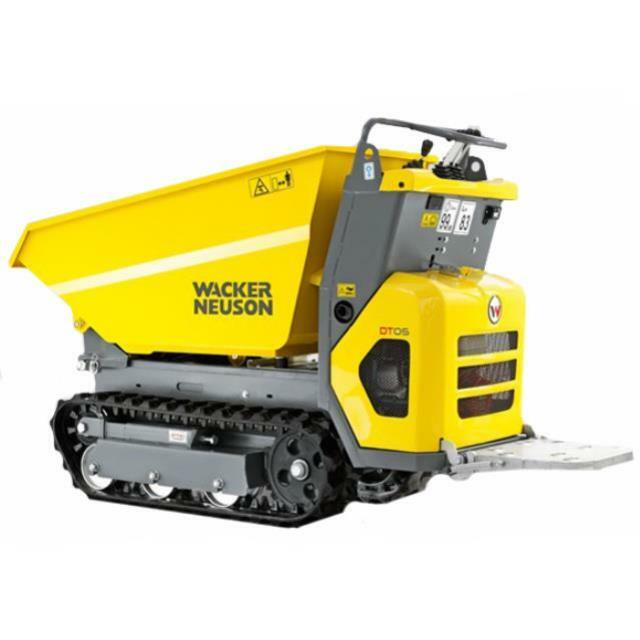 Features: Wacker Neuson's track dumper DT05 can be manoeuvred on any surface with centimetre-accuracy, thanks to its compact dimensions and precision control. It really comes into its own where space is very tight and agility is a must. The hydrostatic drive enables easy and comfortable operation. Ultra-compact dimensions (66 cm), ideal for working in confined spaces and making its way through standard doors;high ground clearance.